In today’s hyper-connected world, uninterrupted internet, cable and phone service are in high demand. Oceanic Time Warner Cable (OTW) is one of the main cable service providers that keeps Hawaiians connected. To ensure 24/7 customer access, network uptime is crucial – which means telecom companies like OTW need reliable backup power and power generation system service to help ensure constant connectivity. Pacific Power Group and OTW’s partnership started in 2007 when PPG began to provide emergency services and preventative maintenance. 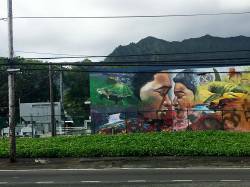 The successful partnership later expanded to ongoing preventative maintenance for 20 data hubs on Oahu, and 11 others on the Outer Islands. After years of this successful collaboration, Pacific Power Group now provides emergency services and preventative maintenance to 40 OTW locations that serve approximately 1.3 million people in Hawaii including important locations such as Kona, Pearl City, Waimanalo, and much of Honolulu, and islands of Maui, the Big Island, Lania and Molokai. Due to PPG’s successful preventative maintenance and emergency service program, the company began supplying MTU Onsite Energy backup generators for OTW hub sites in 2012. PPG has supplied about 15 50 kW, 250 kW, 350 kW MTU Onsite Energy diesel gensets and transfer switches for locations across Oahu and the Big Island. The MTU Onsite Energy generators are trusted internationally for their reliability, increased uptime and long engine life in telecom applications. For Oceanic Time Warner Cable, the backup power supplied by MTU Onsite Energy gensets, and PPG’s complete service program and personalized approach are key for ensuring that Hawaii customers always have access to internet, cable and phone service.